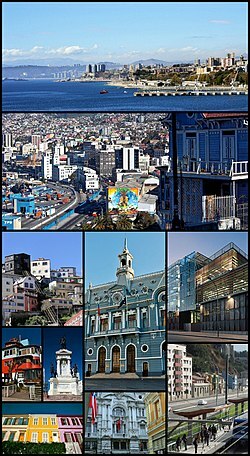 ^ （西班牙文） Municipality of Valparaíso. [15 November 2010]. （原始内容存档于2010年3月30日）. ^ Valparaiso Climate Guide to the Average Weather & Temperatures with Graphs Elucidating Sunshine and Rainfall Data & Information about Wind Speeds & Humidity:. Climate & Temperature. [2010-03-06]. （原始内容存档于2011-11-26）.